With having 20.8Ah (Wh) capacity, our range of Lithium Polymer Battery is preferred over other types of batteries in terms of its performance and life cycle. Widely used in various electrical systems, this battery is rechargeable and its repeated recharging does not affect its original quality. A special type of solid polymer composite is used for its fabrication. This polyacrylonitrile composite helps to minimize the possibility of burst and flame. Due to its low self discharge rate, this battery does not have memory effect. Moreover, it takes minimal duration to charge and thus helps to save energy. Better volume energy rate, unique weight energy rate, environment friendly standard, polyswitch free design, short circuit and over discharge protection capacity are its main attributes. 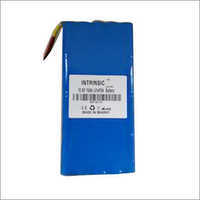 Lithium Polymer Battery has spiral shaped internal structure. The cathode part of this battery is made of bronze film made current collector and carbon sheet Li-ion collector. It can work parallel direction. 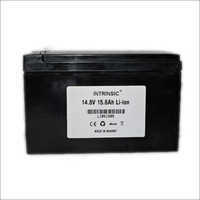 Battery offered under our Log Battery Packs is used for smooth operation of various power tools. These Eco friendly battery packs include lithium ion battery with rechargeable feature. 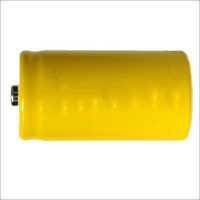 The application of these battery packs can be noticed in home appliances, security systems, lighting systems and so on. Advanced battery management system installed inside these products is effective in acting against short circuit, over discharge, over charge and over drain. These 35 kg battery packs have 42.0V cut off voltage, 58.8V charging voltage and 51.2V nominal voltage. 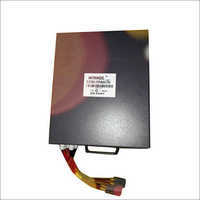 These Log Battery Packs are offered with connector and IP65 box. Easy to install, these have long life cycle. 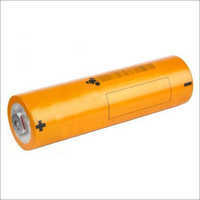 Free from harmful cadmium, lead and mercury, these battery packs are listed among Eco-friendly batteries. These do not contain toxic mercury, lead and cadmium. These have long life span. Acknowledged for its long life span, Lithium Iron Phosphate Battery is preferred for its pollution free content, burst proof design and high temperature proof body. Its application can be found in telecommunication backup storage system, emergency systems, solar energy storage unit and so on. 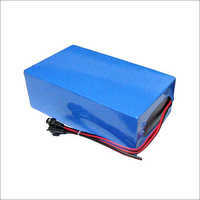 Light in weight, this battery pack has less self discharging rate under low temperature condition. Trouble free start up function, maintenance free quality, water and acid proof design, Eco friendly nature, small and precise shape and burst proof design are its main factors. This Lithium Iron Phosphate Battery is preferred over lead acid battery for its high energy storage capacity and better discharge rate. Its lithium iron phosphate based content minimizes the possibility of combustion caused by short circuit and overcharge.